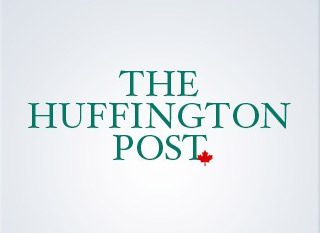 DeforestACTION and Cleveland District State HighSchool Featured in Huffington Post. Dr. Reese Halter from the Huffington Post highlights DeforestACTION in her article 'Indonesia's Protected Rainforests Disappearing' as a program that shows "school children that together they have a potent voice and an active role in protecting the environment and our planet." This article also features Cleveland District Highschool and acknowledges their passion and accomplishments in helping protect the rainforests and organutans in Indonesia! Fieldcrest Elementary Students Win My Hero Project Award. Congratulations to educator Mali Bickley and her students at Fieldcrest Elementary School in Toronto, who won a 1st place award in the My Hero International Film Festival with their video creation, A Rainforest Fable. 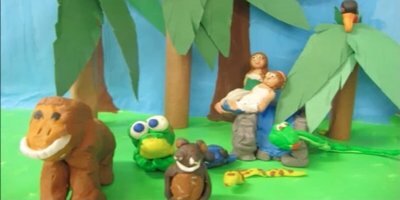 A Rainforest Fable is an inspiring stop-motion animation video that was created by the grade 5 students, and shares how the Eco-Warriors are helping us say NO to palm oil products. Keeping It Real in Global PBL: Authentic Public Audience. "An important element of project-based learning worth looking at closely in the context of global learning is that of public audience. For largely practical reasons, a public audience in PBL usually includes the parents of students..."
Eco-Warrior Fabrice Marre Featured in Our World Today Article. Fabrice has been featured in an article written by Brianna Piazza for Our World Today! "Fabrice says he has great hope that today’s generation will be able to find ways to sustain the world’s remaining forests. 'I believe we have the power to make the change. It takes time and effort, but as a community we can do it.'..." "As life-changing experiences go, spending 100 days in a Borneo forest rescuing orangutans ranks high up for Liza Heavener, a former political lobbyist from Washington before she joined an NGO called DeforestAction. “You can’t go through an experience this intense and not have it change you,” said the 27-year-old American...."
"A GROUP of Cleveland District State High School (CDSHS) students took part in an educational, international teleconference last month to help save orangutans. Their efforts are part of a global learning project named DeforestACTION - an international initiative to help save orang-utans from extinction by raising awareness of and combating illegal deforestation in Borneo." "To monitor the forests of Indonesia, Geodan's DeforestACTION project has partnered with UrtheCast, the Canadian company that's developing, launching, and operating high-definition (HD) Earth video from the International Space Station (ISS). Access to UrtheCast's HD video data will be vital for the performance of DeforestACTION's Earthwatchers application..."
"GURGAON: In the age of technology distances mean little. Nothing more than a click of a button is needed today to make a local event cut across national borders and reach global audience..."
"Mark Kuroski is back in town after working on a anti-deforestation project in Borneo. He has been giving talks at schools and to community groups, and now he’s presenting a cabaret evening..."
"It's a Jungle Out There" - Featuring Cleveland High Students! 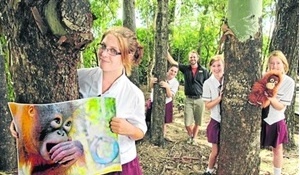 "HUNDREDS of passionate Cleveland High students are part of a global project to help save animals and forests in Borneo. 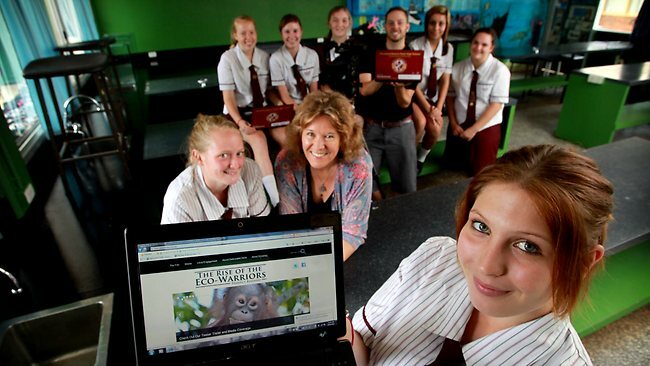 The students are among 10,000 young Queenslanders who will follow the heroics of 15 environmentalists for the film The Rise of the Eco-Warriors, to be released in cinemas next year..."
Yvette Teeselink featured in World of Wildlife article! 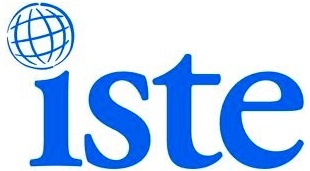 "'Hoe drastisch kan je leven in een jaar veranderen! Als ik nu terug kijk krijg ik een grote glimlach op mijn gezicht.' zegt de 28 jarige Yvette Teeselink uit Enschede..."
Michael Furdyk is honoured as a global hero in education in Daily edventures! It is a global journey with Anthony Salcito, Vice President of education for Microsoft Corp.'s Worldwide Public Sector Organization, who is taking 365-days to highlight "global heroes in education". 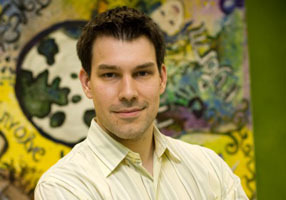 TIG's co-founder, Michael Furdyk is featured February 14th. DeforestACTION is also mentioned as an example of global project-based learning. "A La Crosse native was chosen to spend 100 days on a remote island in Indonesia. 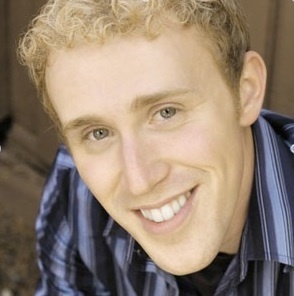 Mark Kuroski, 27, is one of only 15 people chosen worldwide to be part of the project, "Deforest Action." More than 250 people applied..."
Ben Dessen's Interview with ABC National News! Eco-Warrior, Ben Dessen was interviewed by ABC National News in Australia about DeforestACTION and Project Borneo! It aired February 15th, check out the audio recording here! The students of the Mendel College in Haarlem (The Netherlands) are highlighted in GeoData's magazine using EarthWatchers monitoring the rainforests! 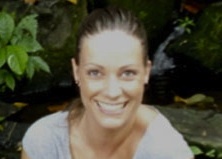 Eco-Warrior, Yvette Teeselink is also interviewed in the same GeoData magazine, January 2012! DeforestACTION is highlighted in a new education book as a global best practice! The new book “Innovate! Collective Wisdom from Innovative Schools” features the best examples of educational innovation from across the planet, and powerful ideas from the leading educational ‘gurus’. DeforestACTION is featured throughout this new book as an exemplar of best practices for education! At the annual Education World Forum in London Princess Gusti Pembayun of Jogyakarta challenged school leaders from across the globe to get behind the DeforestACTION project. Her Royal Highness also personally committed to enrolling another one million Indonesian students into the project! DeforestACTION is featured in latest issue of Australian Educator! An article on DeforestACTION, written by Cynthia Karena was published in the December 2011 issue of Australian Educator. The article features many Australian schools involved with DeforestACTION along with the innovative ways the program, and the teachers are using DeforestACTION to foster project-based learning in the classroom, and putting students in the driving seat! Download the PDF version of the article and read how DeforestACTION empowers your students to become global citizens! Verslang van Borneo - voormalig tropisch paradijs! Yvette Teeselink's story, in Dutch, about her journey in Borneo! Our World Today, Eco-Warrior Fabrice Marre! Holeproof Explorer, Ready To Go Award Winner, Ben Dessen! Going 'Off the Grid' with Liza Heavener! Australian Singapore Partnership for The Rise of the Eco-Warriors! Brisbane screen production company Virgo Productions is teaming up with Singapore-based Silver Media Group to produce a mainstream 3D action adventure documentary entitled "The Rise of the Eco-Warriors". DeforestACTION is featured in an article by APEC Digital Opportunity Center! "Software giant Microsoft Asia Pacific together with TakingITGlobal has backed 15 young ‘eco-warriors’ in the jungles of West Kalimantan, Borneo in an effort to curb deforestation, called DeforestAction..."
Eco-Warrior, Yvette Teeselink was featured in an interview aired in Holland on Channel 6 news! Interview begins at 13:00 minutes! Ben Dessen said words could not describe the emotions he felt during a 20-day trip to Borneo to rescue endangered animals. DeforestACTION and Varsity College were featured on Queensland Australia's Channel 7 news, nationwide! The news story highlights the 3D documentary and the Earth Watchers program, and focusses on how students from all around the world are fighting to save the rainforests in Borneo! In much the same way he stumbled across the job in South Korea, Kuroski stumbled upon his latest adventure in Borneo. Dural resident in DeforestAction project. Ben Dessen is on a mission to save endangered animals in the Borneo forests. For years the Dural resident has campaigned to save orang-utans on the Indonesian island from extinction. Global green project: City professional makes 3D entry. Susheel Kadam, 36, an operations executive at a call centre here, is the only Indian among 25 environmentally conscious people from around the world to have been shortlisted under the 3D Action Movie section of the DeforestAction project.